…a waiting room, a factory or a treadmill. We have developed a solid reputation for meticulous care and attention to all our work. This reputation has been built upon an underlying commitment to our clients, to understand, and plan for, the key issues and challenges that surround the delivery of each project. Led by the inspirational principal, Stephen Harris, they have created an Activity Based Working (ABW) environment at NBCS for the children to learn, develop and have fun. If you had told me it was possible to have over 180 year 5 & 6 children working effectively (and quietly!!) in one open plan area, I would not have believed you! But when you see it in operation it is truly inspiring. I first came across the idea of Activity Based Work (ABW) a couple of years ago after visiting a CBD corporate refit and wrote a few blogs (like this one) about it as I believed that this approach to the work environment had much to inform the educational context, a corollary to James’ inspiration for NBCS informing work spaces. 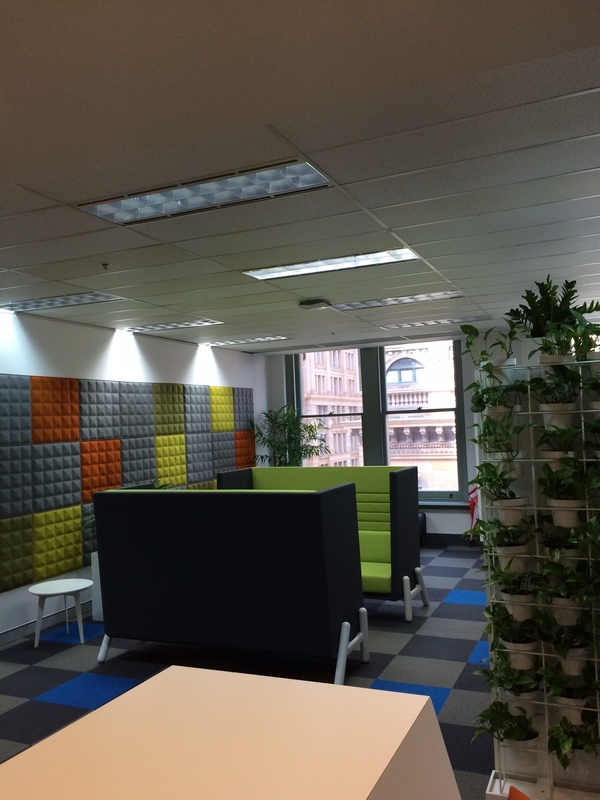 James and I caught up last week, to see the transformation of the Amicus Interiors office in Martin Place in Sydney as an Activity Based Work(place). This was my first opportunity to see the new fit out. We talked about how the team are adapting and changing to work in an ABW environment. As with anything that involves people, the shift to change takes them on a journey – no fixed desks, closed and open collaborative meeting areas and close co-location with colleagues. Each of these play a crucial role to encourage innovation and creativity and foster productivity. What happens if something is missing? 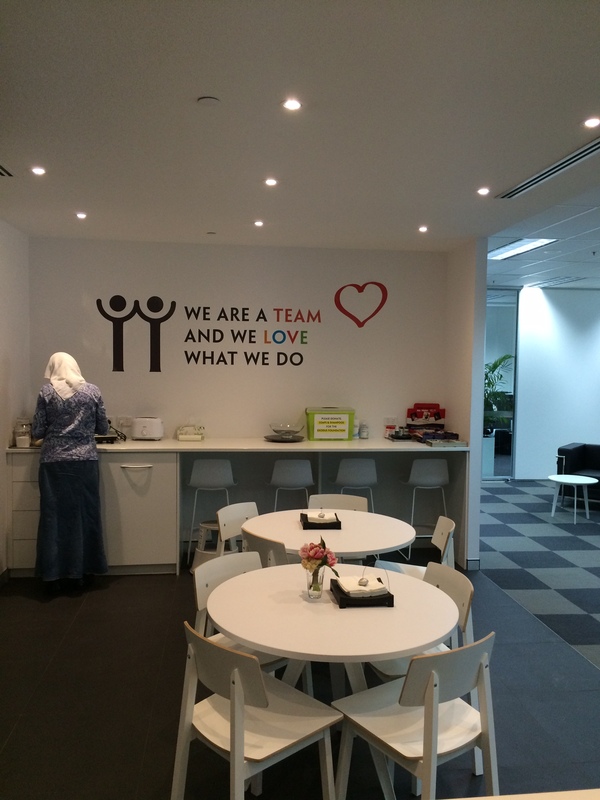 What do Amicus Interiors staff think about their new ABW workplace? What physical changes has ABW had on the Amicus Office environment? 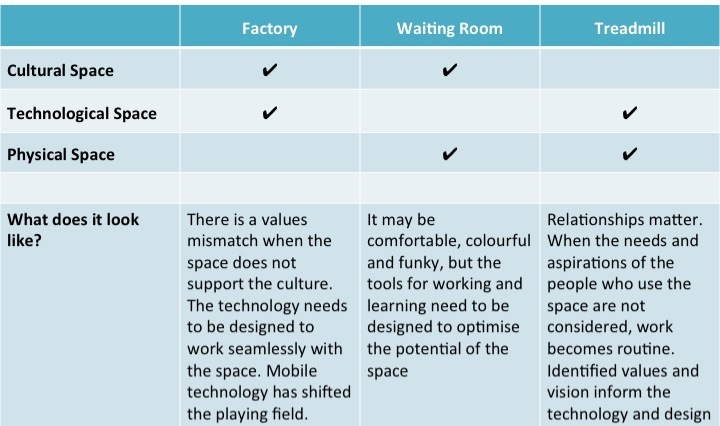 What have the work spaces at schools got to do with trust, responsibility and technology? and Will schools of the future be AWB? 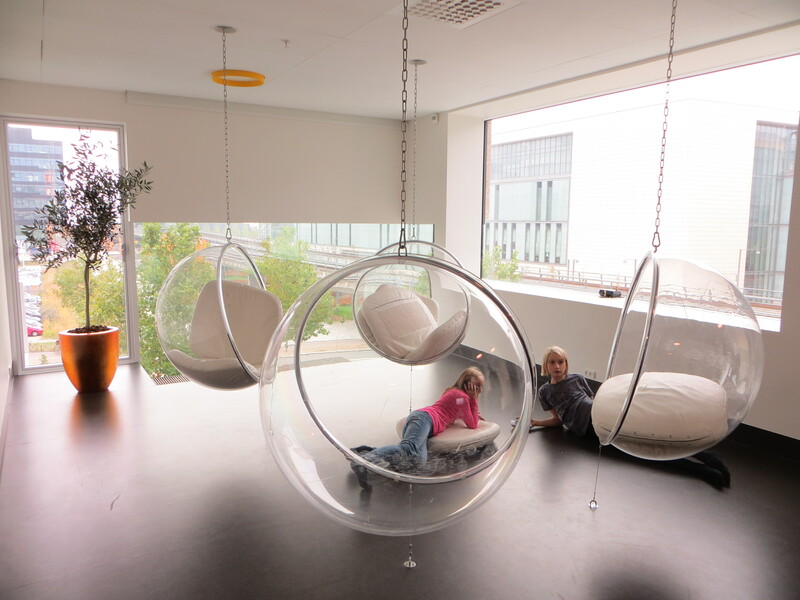 Does physical space in the workplace create productivity?